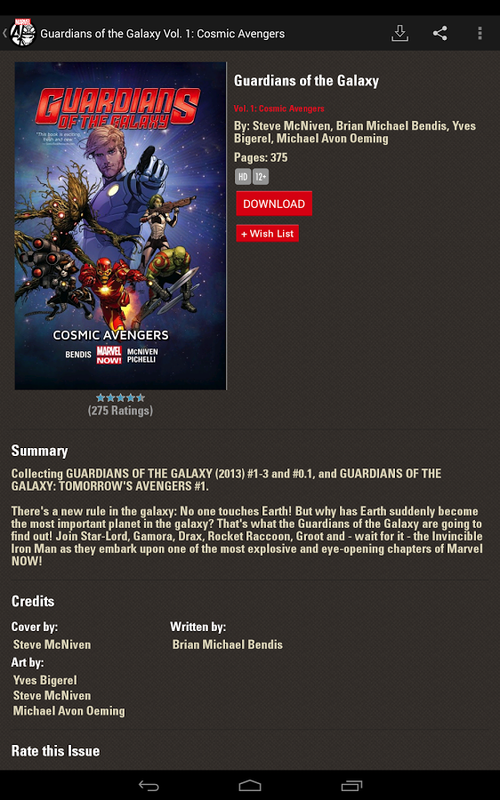 MARVEL COMICS app on Android, featuring the world’s most popular super heroes! 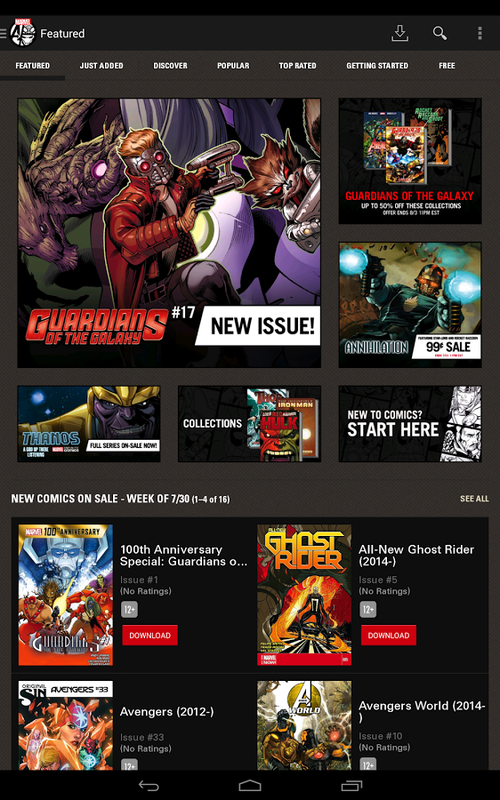 Introducing the MARVEL COMICS app on Android, featuring the world’s most popular super heroes! Download hundreds of comic books featuring your favorite characters -— including Iron Man, Thor, Captain America, Spider-Man, Wolverine and more — on your mobile device or tablet with the touch of a button. You’ll experience Marvel’s greatest series and stories like never before, with your choice of guided view (an animated, panel-by-panel path through the comic), or by using regular device controls to zoom and pan your way through pages of sizzling story and amazing artwork! Each of your downloads will be protected and backed up when you use your Marvel.Com account, meaning the next time you lose or upgrade your device you’ll find your comics waiting to be read again!